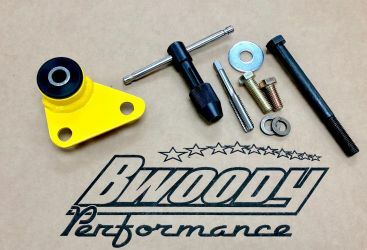 Note: We have had several customers who do not have these mounting holes, please verify that your front differential has these mounting holes before placing your order. This can be done by turning your steering wheel all the way to the left, you will be able to get a good view of your front differential from the passenger side of the vehicle. If you do not have the required boss holes for this brace, Click here to view the brace that will accomodate your differential. Truck has a much firmer launch now, Thanks bwoody!